I admit that I often lack motivation and as a parent also the time to pack my gym bag to go to a studio and to attend a yoga class there. So I will only just take a DVD and do gymnastics with a one-dimensional yoga trainer. The bad thing is: from time to time some questions will arise about the exercises, which no one can answer to me. But luckily there is Annika Isterling. The personal trainer, which is the top address to Hamburg in 2013 crowned by the magazine Elle, offers so-called webinar courses. Once a week she answers questions live on the Internet that are provided to her via chat. The whole thing gets supported with links to videos of her and pdfs with pictures of each yoga sequence. 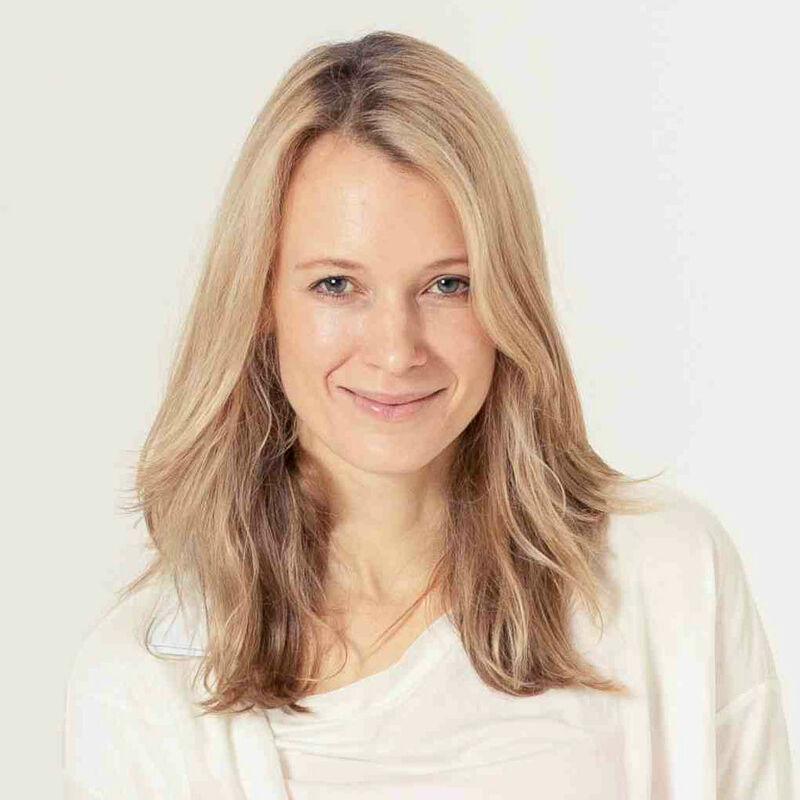 In addition to this brilliant idea Annika teaches in 3 different studios, gives private sessions, offers yoga vacations, is a writer, models and is the mother of two young children. If this is not proof enough that yoga ensures for serenity to everyday life. The Hamburg native actually exudes a pleasant tranquility. In private sessions she sinks in with the mood and constitution of her students, she owns a high degree of empathy. In addition, she has such a positive attitude, which is really contagious. The exciting part: she herself needed a few tries before she really got into yoga properly. After high school she modeled successfully in Paris and New York. For years she did the shows all over the world for Chanel, Givenchy and Calvin Klein. Initially she practiced yoga for purely sporty reasons, to stay in shape. But at some point she began to listen properly. More and more she realized what yoga really means. "On the spiritual level, through the many philosophical themes in yoga, I have mainly built confidence in me, in life and in my dreams." Says the 36- years old. " And I've learned that I do not have to be perfect all the time. Also, I was fascinated by how quickly you can become flexible and powerful through regular practice. " I am excited about Annika's knowledge and the versatile trainings she took and will treat myself to a class from time to time and will report back to my lovely readers.